The lip balm addict's favorite. A deliciously soothing and creamy herbal infusion blended in a base of extra virgin olive oil and beeswax. This is a hard to find gem > an SPF 15 Mineral Lip Balm that Goes on Clear! 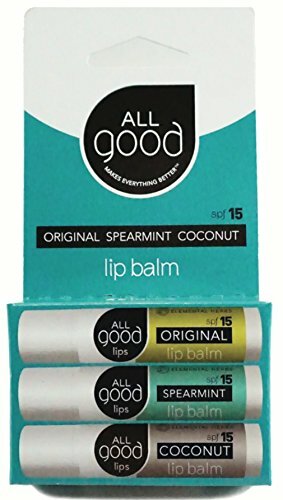 OUR FAVORITES - The SPF 15 Lip Balm 3-Pack includes our most popular flavors; Original, Coconut, & Spearmint. SOOTHING - A deliciously soothing and creamy herbal infusion blended in a base of extra virgin olive oil and beeswax. SPF 15 provides protection from the sun. 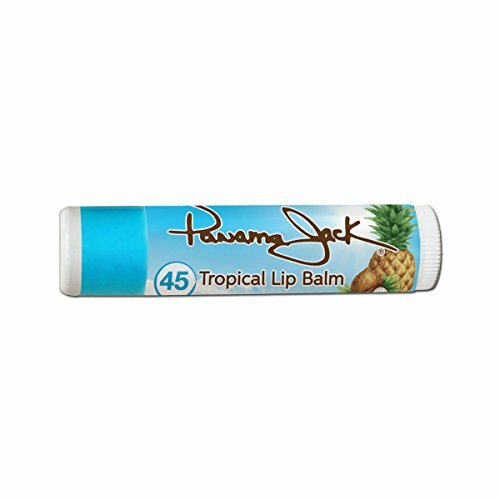 It goes on smooth and leaves your lips soft and smooth all day long. HEALING INGREDIENTS - Healing Infusion of medicinal herbs, including Calendula grown on our own farm. NO CHEMICALS - No chemicals or oxybenzone used in our lip balm. 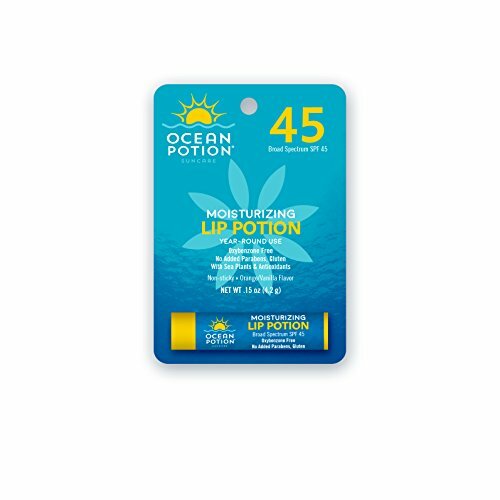 Protect your lips with non-nanoparticle Zinc Oxide - SPF 15. This all-season Lip Sun Block offers the most effective protection for lips and other sensitive areas: ears nose and around eyes for spot protection. Made with rich conditioners to help keep lips soft and smooth. Inactive Ingredients: Beeswax, Bisabolol, Butyrospermum Parkii (Shea Butter)*, Calendula Officinalis Flower Extract, Carmine, Chamomilla Recutita (Matricaria) Flower Extract, Euphorbia Cerifera (Candelilla) Wax, Fragrance, Helianthus Annuus (Sunflower) Seed Oil, Iron Oxide, Jojoba Esters, Nasturtium Officinale Flower/Leaf Extract*, Octyldodecyl Oleate, Oryza Sativa (Rice) Bran Oil, Oryzanol, Persea Gratissima (Avocado) Oil, Pueraria Lobata Root Extract, Silica, Simmondsia Chinensis (Jojoba) Seed Oil, Spiraea Ulmaria Flower Extract, Theobroma Cacao (Cocoa) Seed Butter, Tocopherol. 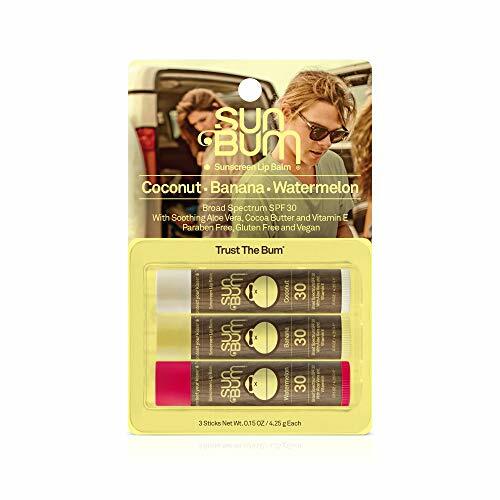 Tropical Lip Balm SPF 45. 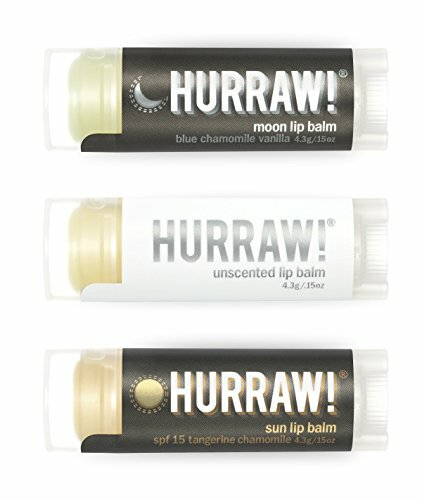 Soothe and prevent dry, chapped lips from sun, wind or cold. Yum! .15-ounce stick. 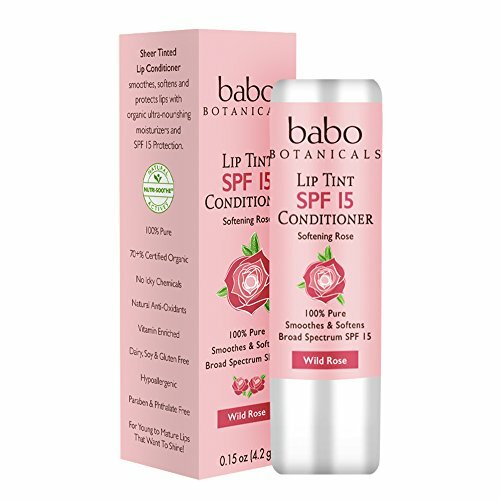 Sheer Lip Tint Conditioner SPF 15 Crimson Rose Mineral Sunscreen Lip Balm for young to mature lips that want to shine! Non-Nano zinc oxide and titanium dioxide; Smoothens, softens and conditions lips; Proprietary Nutri-Soothe Complex is rich in anti-oxidants & vitamins. 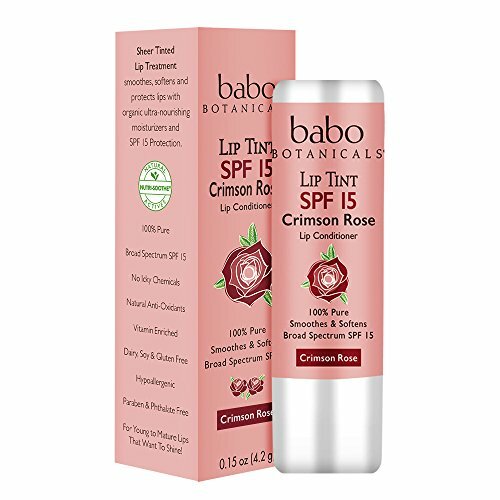 BABO BRAND PROMISE: Dermatologist Tested. Hypoallergenic. B Corp Certified. Made In USA. Moon Lip Balm: Extra thick, creamy and rich; this balm has some serious staying power. The Vanilla and Peru Balsam scent will lull you to sleep. Azulene packed Blue Chamomile lends a gorgeous green-blue color and soothes your lips for some true beauty z's! Recommended for sensitive and problem lips. Avocado Oil is exceptionally high in Vitamins A & E. Rosehip Seed Oil combats dry lips and has amazing rejuvenation properties. Proven to regenerate skin, reduce scars, knock out wrinkles and UV damage. Meadowfoam Seed Oil loves to adhere to lips making it a great assistant in preventing night time moisture loss. Argan oil is "Liquid Gold" they say. Perfect to use at night! Unscented Lip Balm: Plain yet so different. Our unscented balm is nut-oil free and mild; it contains no added flavor. Meadowfoam seed oil is a superstar moisturizer loaded with the antioxidant Vitamin E; use it on your lips, your cuticles, your . . . Just a smooth, creamy-like-butter nothingness. Sometimes nothing is really something. Sun, SPF 15 Lip Balm: Juicy Tangerine with hints of Vanilla...the unique scent of Roman Chamomile lends a calming note. Packed full of amazing cold pressed oils to moisturize, protect and heal. Our SPF 15 Sun Balm will give your lips the extra protection they need. It glides on silky smooth *(and virtually clear) like our regular balms but we formulated it to be extra thick and creamy for longer staying power for those long exposure times! Non Nano Zinc Oxide is the only all natural, broad spectrum sun screen available today. 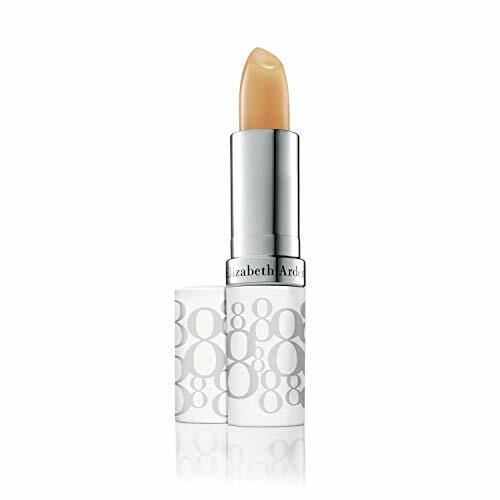 It protects your lips by sitting on top of them and thus, provides a physical barrier against UVA and UVB rays. THREE 4.3g/.15oz Oval Tubes - MOON Balm (A NIGHT TREATMENT balm with Blue Chamomile and Vanilla), UNSCENTED Balm (NUT-OIL FREE and mild; it contains no added flavor), SUN Balm (Sunscreen SPF 15, Zinc Oxide Sun Protection with Tangerine and Chamomile. Glides on silky smooth and virtually CLEAR!) Made with Premium Organic, Vegan and Raw Ingredients. Hurraw! Balms are Cruelty Free, GMO Free and Gluten Free. Simply the Best Luxury Lip Balm MADE IN THE USA. ORGANIC: Hurraw! Balms contains certified organic ingredients and participates in the National Organic Program (NOP) and is certified by the Montana Department of Agriculture for made with organic ingredients standards. Hurraw! Balms production facility is EcoCert COSMOS certified. COSMOS is quickly becoming the International standard for organic and natural cosmetics. It is highly respected for it's very rigorous, precise and legit cosmetic certification process. VEGAN: The ingredients Hurraw! Balm uses are plant based. Hurraw! Balm is a certified vegan company through Vegan Action. Hurraw! Balm is also registered by the VeganSociety. CRUELTY FREE: Hurraw! Balm is a Certified Cruelty Free company. No animal products (i.e., beeswax) are included in Hurraw! Balms. Hurraw! Balm is proud to be a part of PETA's cruelty-free company program. Hurraw! Balm ingredients are cosmetic and food-grade ingredients. Safety testing takes place on Human panels via independent labs. RAW INGREDIENTS: Hurraw! Balm contains certified organic, cold pressed and mechanical extracted (centrifuged and expeller pressed), nut/seed oils and butters that have been processed at low temperatures and still retain their essential nutrients and enzymes. Although more expensive, the quality of cold pressed oils and raw butters are superb. 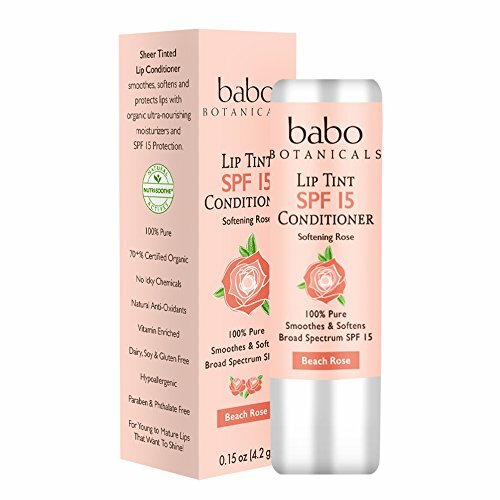 100% Pure, Daily Nutri-Soothe Lip Tint Conditioner with SPF 15 smoothens, softens, and protects lips with sheer lip tint in natural shades and rose scent. BullFrog Land Sport Clear Zinc Quik Stik SPF50 Sunscreen is for on-the-go sunscreen protection. It goes on clear, and is fragrance free. Sweat resistant formula in a convenient size to carry with you anywhere.Broad spectrum SPF 50..Wt. 0.65 oz. (18g)..Active ingredients: Homosalate 6%, Octinoxate 7.5%, Octisalate 5%, Octocrylene 5%, Zinc Oxide 10%..
On-the-go face and body sunscreen. Clear zinc formula goes on clear. 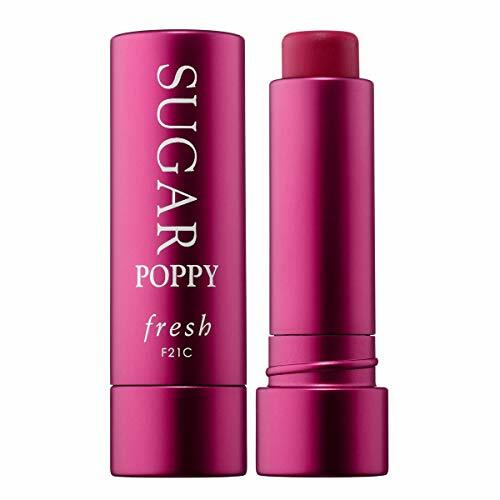 A cult-favorite lip balm with sunscreen that moisturizes and smooths in clear or buildable color. Dermatone lip balms offer superior coverage and longer-lasting protection. 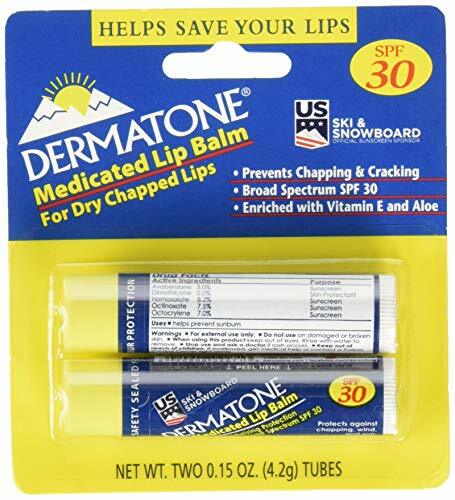 A tried and true formula for years, tested in almost every imaginable environment, the medicated protection from Dermatone's medicated lip balm is still a favorite among any Dermatone fan. Provides protection against the chapping wind, biting cold, and the blazing sun. Created with a denser formula, re-apply less. More than 30 years later, we haven't lost our focus. We realize that nature's elements are unforgiving and often unpredictable, and that quality skin protection can sometimes be the difference between success and failure, or even life and death. Don't forget about protecting your lips! Our Clear Lips Sunscreen is great for wearing alone or applying under a favorite lip gloss or one of our yummy flavored lip balms. 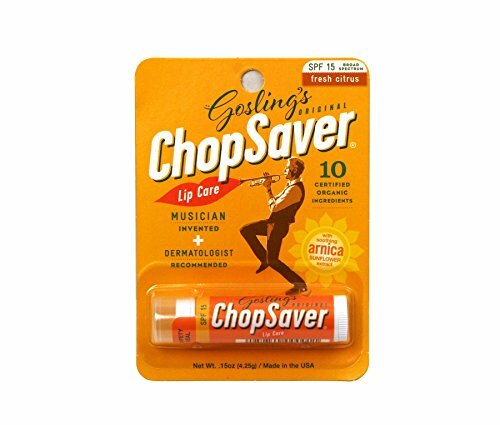 Directions from packaging: Apply liberally to lips before sun exposure, after 1-2 hours of use or after eating, kissing etc. Warnings from packaging: For external use only. Discontinue use and seek a physician if skin rash develops and persists. Rinse with water if sunscreen gets in your eyes, Decrease UV exposure by limiting time in the sun, wearing protective clothing, and using sunscreen. 100% NATURAL INGREDIENTS - Our Natural Sunscreen Lip Balm with SPF is made of all natural ingredients to ensure a natural and healthy feeling. HIGHLY RATED FOR SAFETY BY THE EWG! 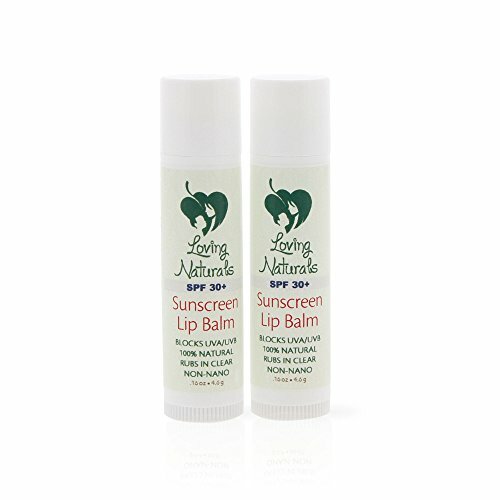 - The Natural Lip Balm SPF 30+ is Safe for Adults and Children Alike. No synthetic or chemical Ingredients are ever used. WATER RESISTANT - Our Natural SPF Lip Protection Balm can be applied to your lips and will last in water for up-to 40 minutes. CRUELTY FREE AND GLUTEN FREE - Our Clear Lips ingredients and formulas are never tested on animals. Loving Naturals is a part of the Leaping Bunny Program. GENTLE SUN PROTECTION Water resistant sunscreen protects your baby from harmful UVA and UVB rays and is mild enough for even the most delicate skin. NON-GREASY FORMULA Simply Protect Sunscreen Stick goes on lightweight and easy to rub in so your time in the sun with baby can be worry-free. 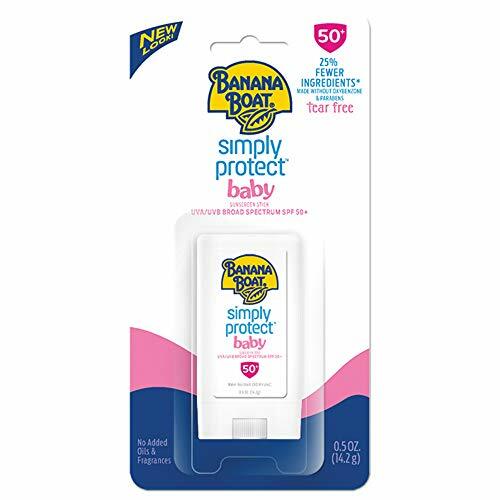 STAYS ON IN 7 CONDITIONS Banana Boat Simply Protect Baby stays on through sun, pool water, ocean water, wind, sweat, sand and even 100-degree heat: We've Got You Covered. RECOMMENDED BY THE SKIN CANCER FOUNDATION Simply Protect by Banana Boat is recommended by the Skin Cancer Foundation to protect against the sun's harmful rays. Lip Balm SPF 20 by Moroccanoil Sun is infused with antioxidant-rich argan oil and shea butter to hydrate and nourish dry, cracked lips, The non-sticky, non-greasy formula provides broad-spectrum protection from UVA/UVB rays. Glides on smoothly and leaves a transparent sheen. Delicately fragranced with a mint tea scent. A non-sticky, non-greasy formula that provides broad spectrum protection from UVA/UVB rays. Glides on smoothly to hydrate and nourish dry, cracked lips, leaving a transparent sheen. Infused with ultra-moisturizing shea butter and antioxidant-rich argan oil. Fragranced with a mint tea scent. Lips dont stand a chance against the elements, especially in the summer when sun, salt water and hot weather wreak havoc on your lips. The easiest weapon to help battle dry, chapped, cracked lips is a moisturizing lip balm with SPF. 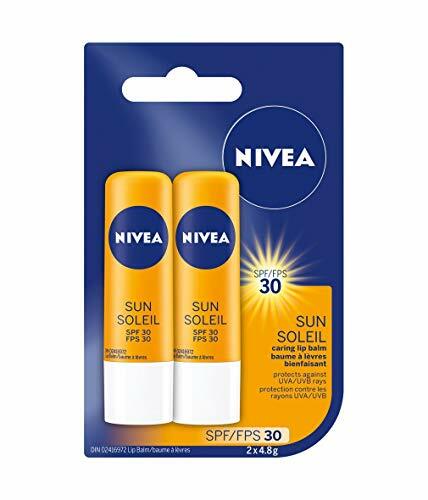 This NIVEA SPF lip balm's sun care formula protects your lips against UVA and UVB rays and provides long-lasting moisture, leaving your lips smooth and healthy. NIVEA Sun Lip Care with SPF 30 provides powerful lip protection from sunburn and long-lasting moisture. Enriched with Hydra IQ, Vitamin E and sunflower extract to help moisturize lips, leaving them extremely soft, smooth-looking and protected. Brand: Nivea | Manufacturer: Beiersdorf Canada Inc. This SPF 30 jumbo stick is 3x the size of a normal lip balm, and with its multi-tasking abilities, the only one you'll need to throw in your bag!